It's love at first bite! 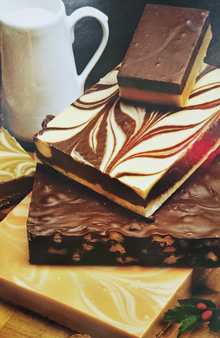 For the best tasting fudge you have ever eaten, stop by the grove or have some shipped. 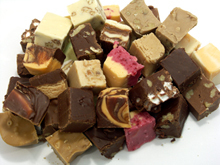 Our rich smooth fudge is made in small batches daily to assure freshness. We combine sweet cream and butter, specially refined sugar and the finest chocolate available. Orange flavors are made with Mixon's fresh Orange Juice. Gourmet Chocolates are some of the finest offered anywhere. Don't miss the luscious Party Trays.